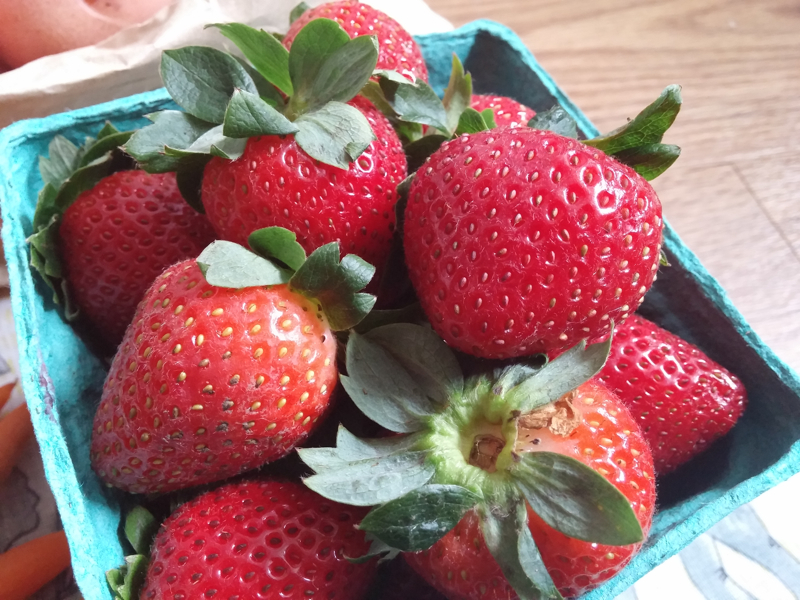 This Wednesday, I opted to sleep in a little later than usual and then go for a brisk trail walk after work, so I ended up skipping the farmer's market and going Friday morning instead. The produce always looks so good, and it's difficult to pick out what I want for the week without getting too much and letting things spoil. Does anyone else have this problem? 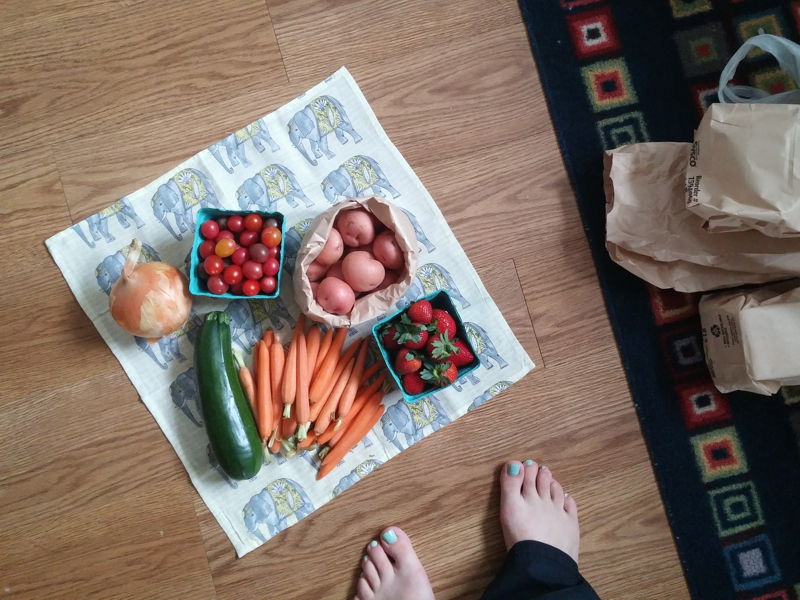 Since I only go to the market once a week, I want to make sure to have enough produce to last the whole week, but I've found there's a fine line between just enough, and slightly too much. Sometimes the vegetables start to get soft before I use them all, or some of the berries grow moldy before I have a chance to enjoy them. Either I have to purchase less, or just be more conscious of what I have around when I'm cooking meals at night! 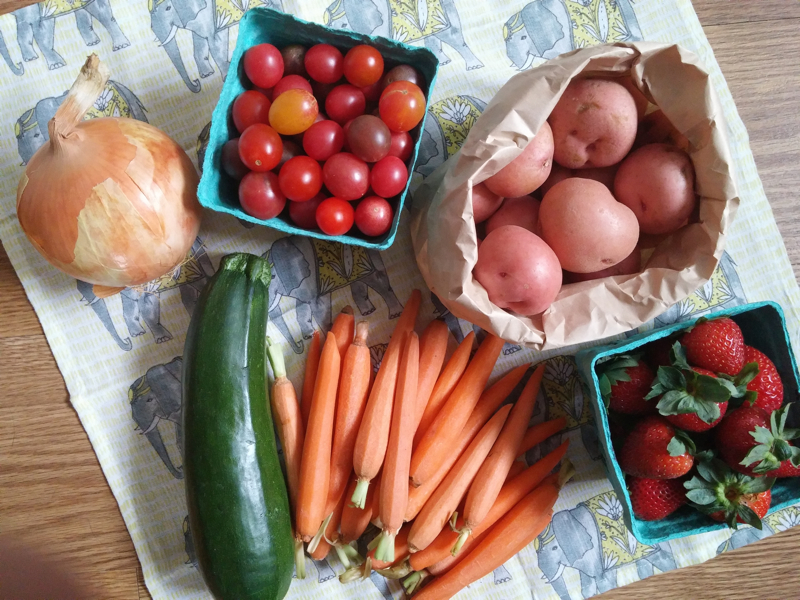 This week I bought: a sweet onion, cherry tomatoes, red potatoes, strawberries, little carrots, zucchini, and some italian and kielbasa sausages (not pictured). ...sometimes the dining table just has a bunch of stuff piled on it and you're too lazy to clear it off so you have to use the floor instead. It was like a mini picnic! I admired those napkins when I was working at Anthropologie, and happily snatched a couple up when they went on sale a few months ago. They're so cute! I want to use more napkins in my food photos. Thanks! I wanted something simple. More minimal. I always felt like I needed more color or flair to fit my personality but I'm really attracted to layouts that are minimalistic. So I set the flair aside and I have been so happy with this layout.